fyi, I've been getting lazy about getting pictures on here. I do still have them and I'll get those up as soon as I can. Registering is highly recommended. When you register you will be able to leave comments and vote on images that you like. You can also choose to get email notifications when new albums are added or existing ones are modified. Pictures taken since March 26, 2004 have been with my new camera (Canon powershot A80). So pictures since then have some nice extras. First I can do more stuff with this one, so the pictures look better. Also I'm uploading the full images and doing all the processing on the server, this means all the exif data stored with the image will be visible. Also the "full" size images are still scaled down to 1024x768 and have a reduced file size since I'm limited in the amount of space here. If you want the full sized image for any of these, just send me an email. I may make an archive of older pictures on my home server or something. If you want to post an image on a message board or something, you will need to host the picture somwhere else, PhotoBucket.com isn't bad. I disabled the ability to link to images directly to help conserve the bandwidth usage since it is limited here. You can also just post the link to the image, and just not the actual image. 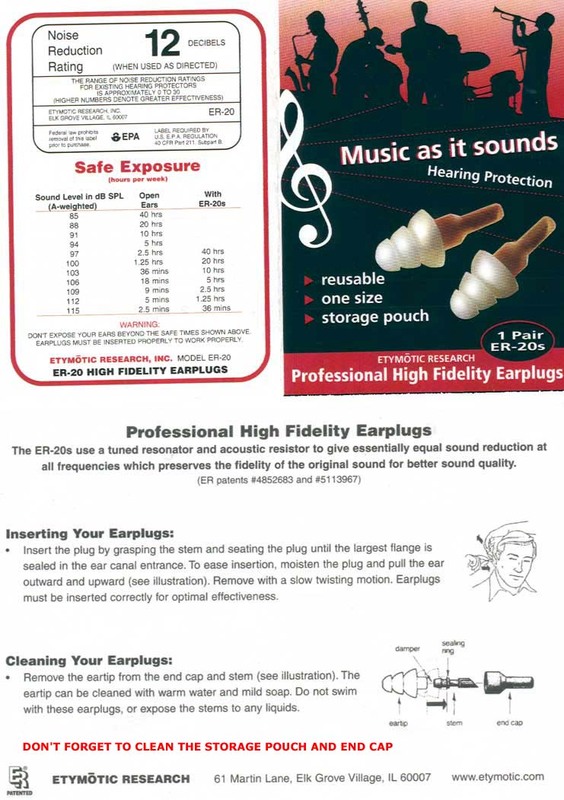 Etymotic Research - Have some really nice ear plugs that were designed for music. The are the same people that make the $100 custom molded ear plugs. At last check (December, 2003) there are $12 plus shipping. Several people from the pb-cle list use these. I scanned the pamphlet that came with it and you can view it here [JPG, 116 kb] (cleaning instructions are outdated, newer ones tell you not to take them apart). Bust card [PDF, 13 kb] - Know your rights. Originally from the aclu site I believe. I had people asking about it so I ended up saving it.